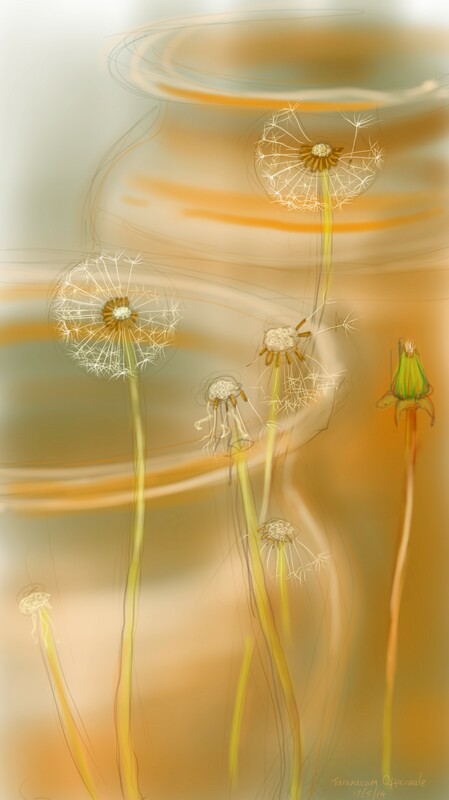 This entry was posted in Plants and tagged art, botanical, dandelion, drawing, illustration, my garden, plant, sketch, tablet sketch, taraxacum officinale on May 17, 2014 by Nancy Farmer. What a lovely drawing. Dandelions are great – just because they’re common it doesn’t make them any less of an attractive plant. They’re also great for feeding to animals that are unwell because, as you say, they are so nutritious. Oh I love this one. It’s so warm and feels… I dunno. It’s like it touches on fond memories.